In 1964, the opening of the Krups factory in Roxboro was seen as the first major multinational initiative in the Mid West, and in 1982 the business peaked, employing 1,300 workers. However, after 34 years in Limerick, on October 30, 1998, the then remaining 500 jobs were lost when Krups management announced the closure of the plant. But now Virgin Media has become the anchor tenant at the Roxboro site bringing 387 people onsite. Walking through the ‘shop floor’ of the customer call centre, Pat Healy explains that the Limerick base is a key site in the firm’s global network. 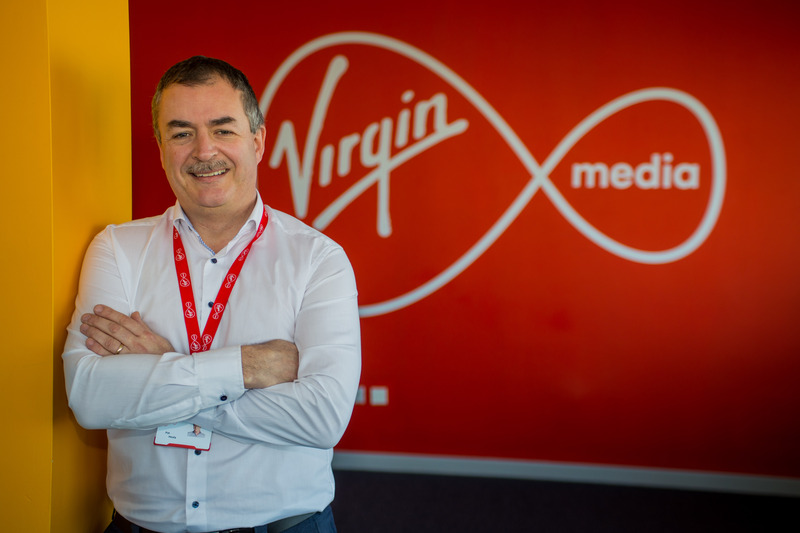 “This is seen as a bit of a jewel in the crown within Virgin Media and that buzz that you feel is an important part because if that isn’t there, within the context of an environment, then there is something wrong. “We are conscious of the type of people that we try to bring in. Not everyone is suited to Virgin Media, but there is a certain type of personality we want. Outgoing, someone who can have fun and enjoy themselves. On the work done onsite, Pat explains that ‘Project Lightning’ is the rollout of broadband to the towns of Ireland. From phone advice to online messaging, employees at the Limerick site have to communicate with customers in every age group. Amongst the many functions of the ‘jewel in the crown’, Pat reveals that “there is a fraud and revenue assurance team here and they support both the Irish and the UK market. Having joined the firm last November, Pat cut his teeth in the industry in Dell in Limerick during the 90s. and then in Shannon with a software company, Version One. Offering his perception of the Mid West, Pat said that within the last eight or nine years it has changed greatly. “I think the local Chamber has done a great job within that time. The Limerick Twenty Thirty is an exciting proposition and if we get 100 per cent of that delivered I think we will be in a very different place. “If Limerick is doing well, then it is inevitable that the rest of the Mid West will do well. “I think Dublin is at saturation level. There are options, even within the Virgin media world and we have centres in Dublin, but we are looking into making the Limerick centre something special. On the challenge of recruitment and retention, Pat said that while the branding will attract the talent, “we still need to get the branding and awareness in Limerick stronger. 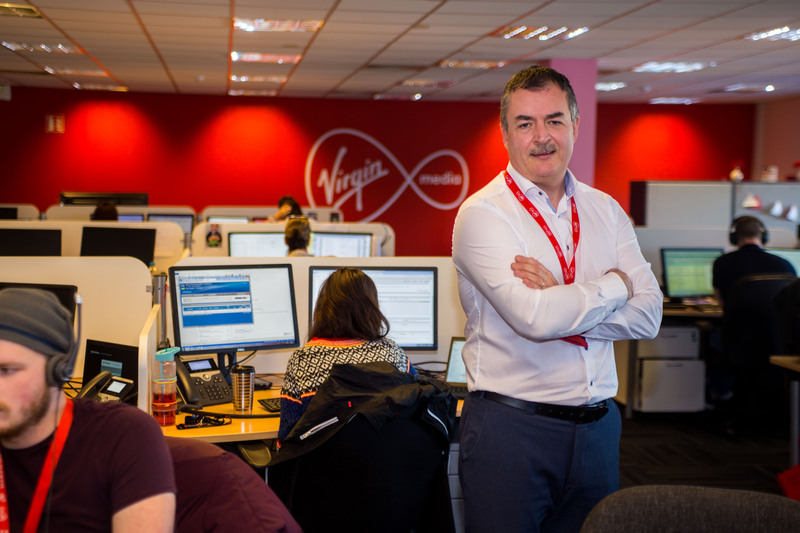 Not just offering customer care support, the Limerick Virgin Media site also has a software development hub with open positions. They are supporting Liberty Global in Europe in research and development and software support. “That is one that we are growing at the moment and we literally have eight open jobs that we need to fill,” said Pat. 137 people joined the Limerick Virgin Media team in 2018. The only issue facing Pat and his team is expanding the footprint of the Limerick site. Pat explains that remaining at the Roxboro site, despite the space constraints is important for their corporate social responsibility. “For the important decision for the next generation, I will say that your CAO form will not define you as a person. “Look for the opportunities and leave the naysayers to one side and accept that you are going to make mistakes.